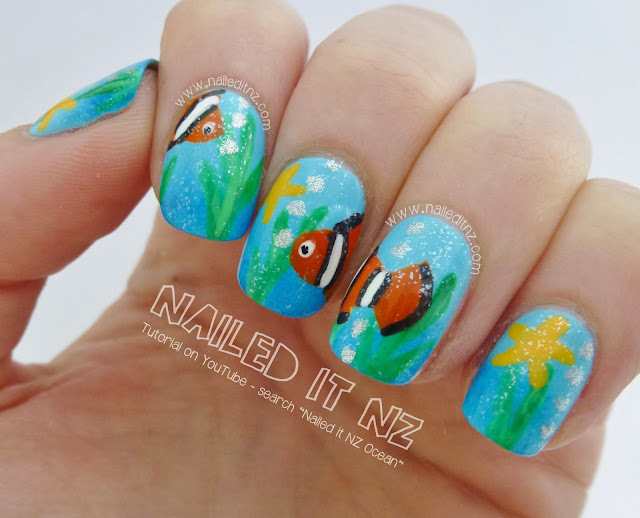 Ocean scene nails! 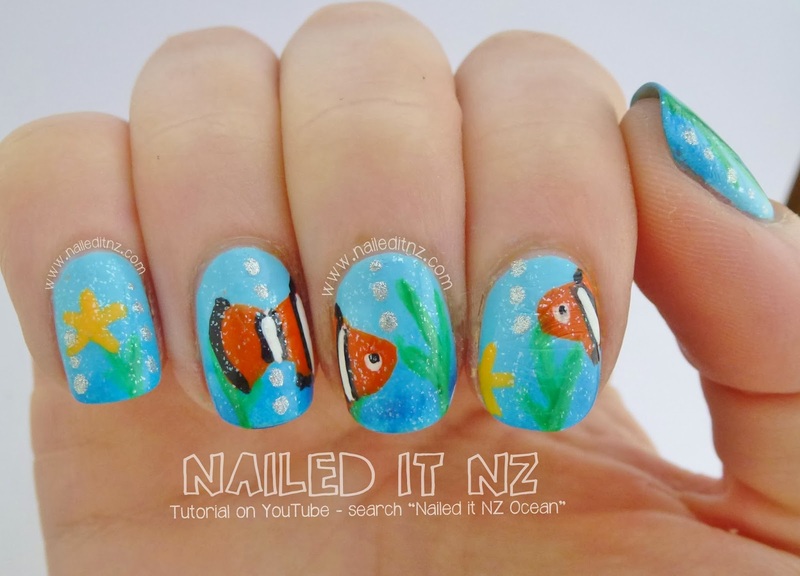 Or fish tank, or Nemo nails. Take your pick. I realised I had a couple of days spare between my Christmas designs, so finally finished editing this video and posted it to YouTube. Success! I first did these nails about a year ago, in the last Christmas challenge. 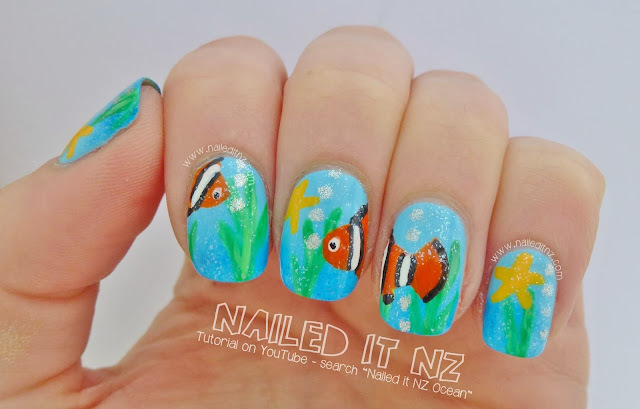 They were pretty popular and I really liked how they turned out, so naturally a tutorial was going to come eventually! Here it is, I hope you like it! Please subscribe to my channel if you're not already ☺. I was glad I managed to keep them pretty much the same as last time. The tails this time round were bigger but that's about it. I think Colada Fizz is the perfect top coat for this - it's subtle but not too subtle! This will hopefully be one of my last tutorials where I have no lighting set up. Next week my umbrellas, ring light and microphone will arrive - to say that I'm excited is a massive understatement! And that's about it! 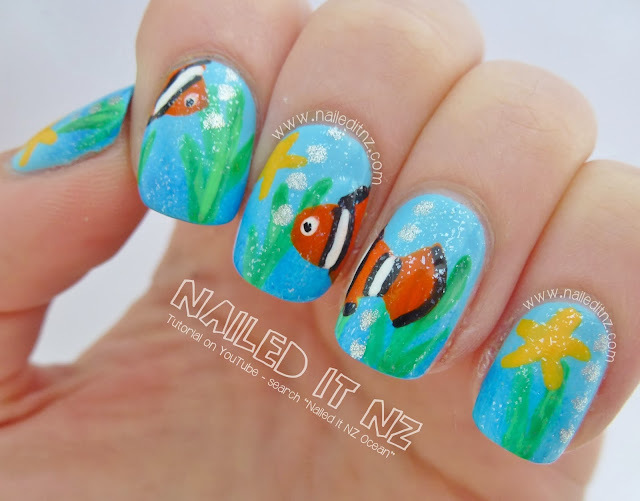 Hope you like these nails ☺.